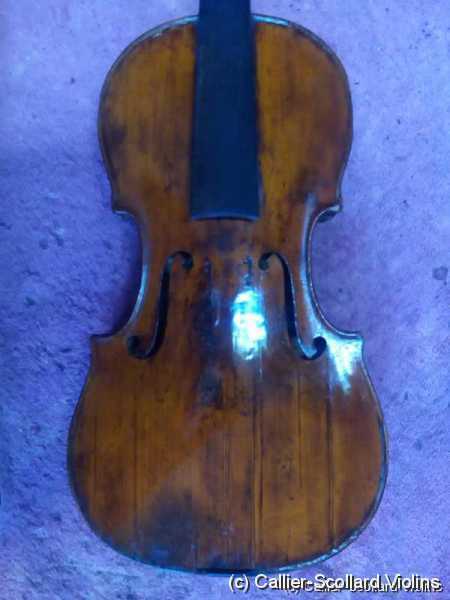 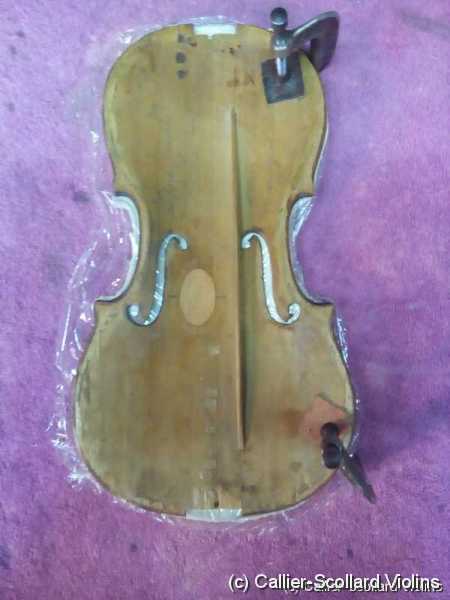 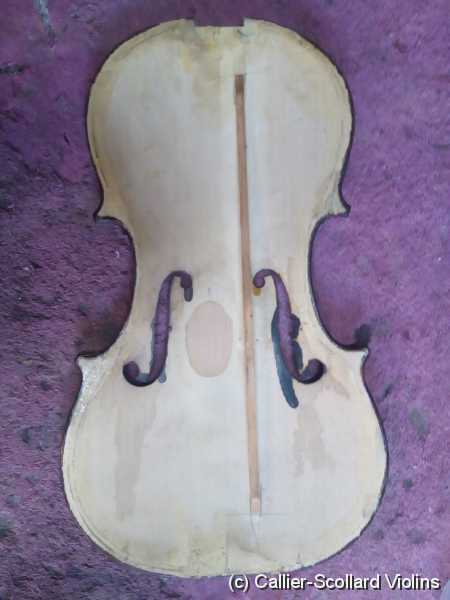 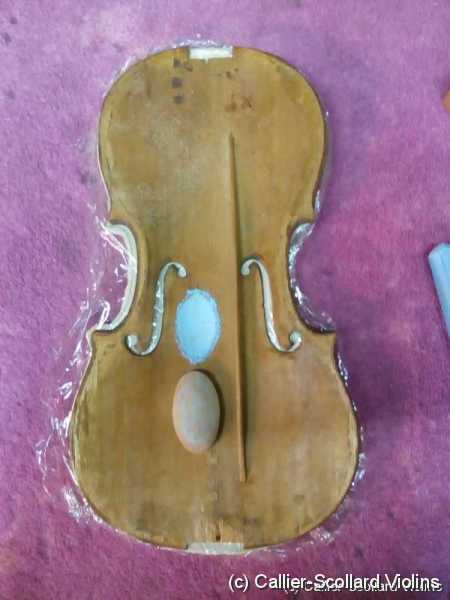 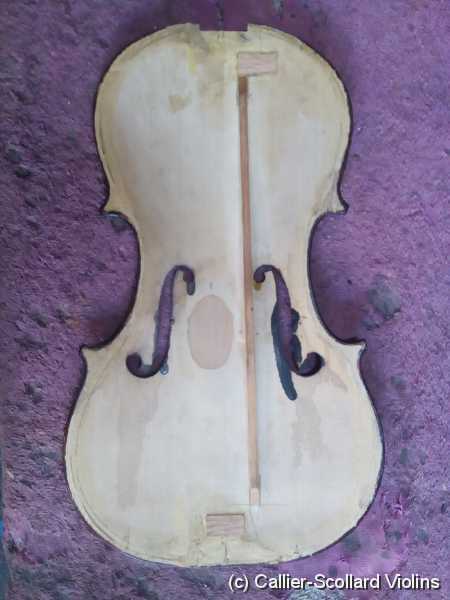 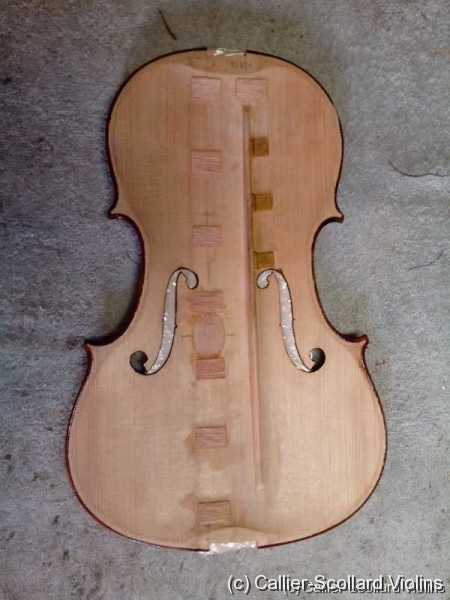 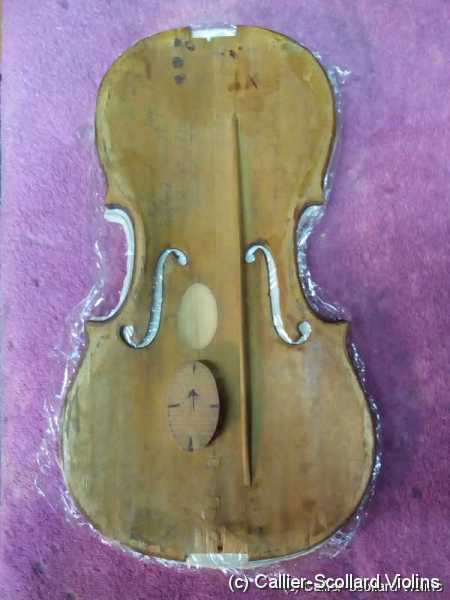 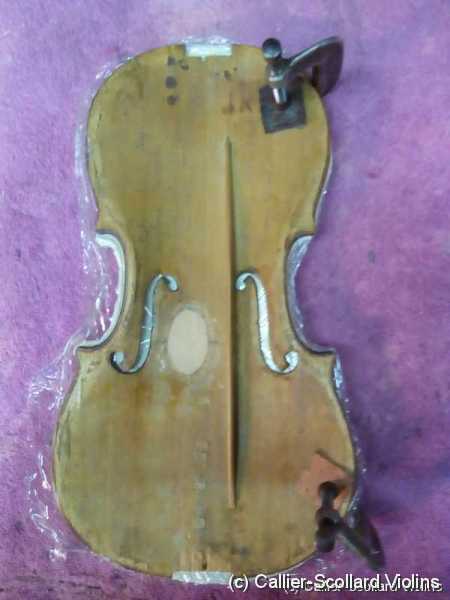 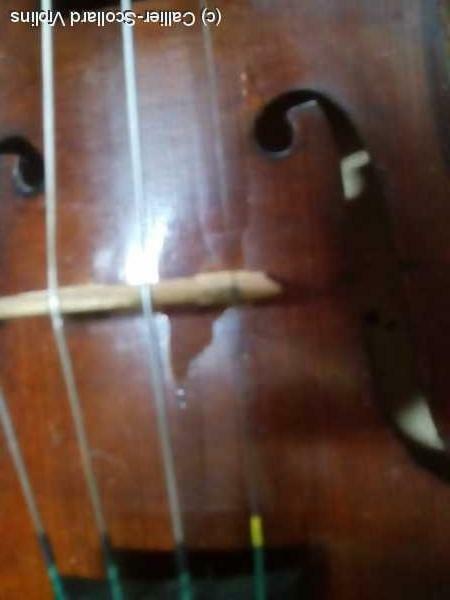 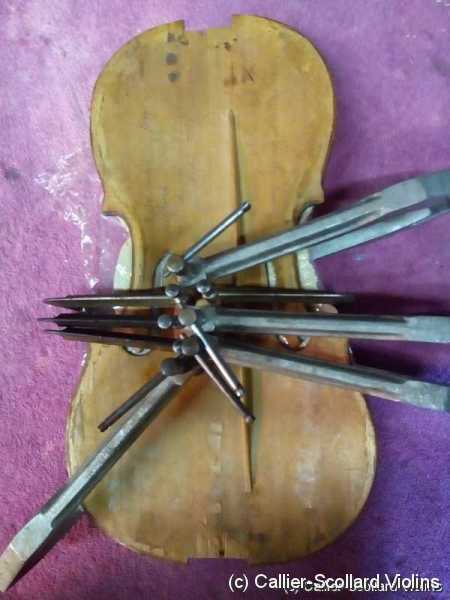 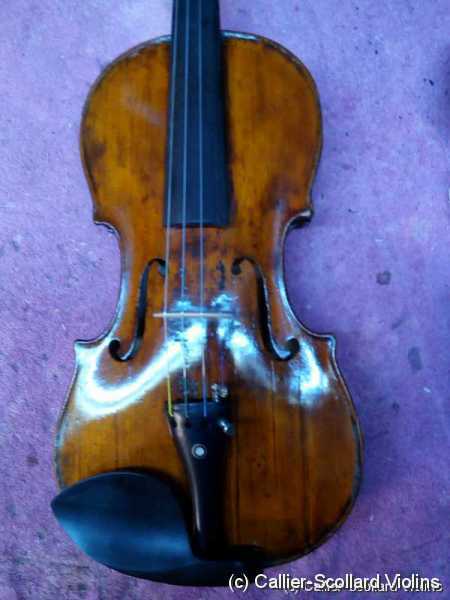 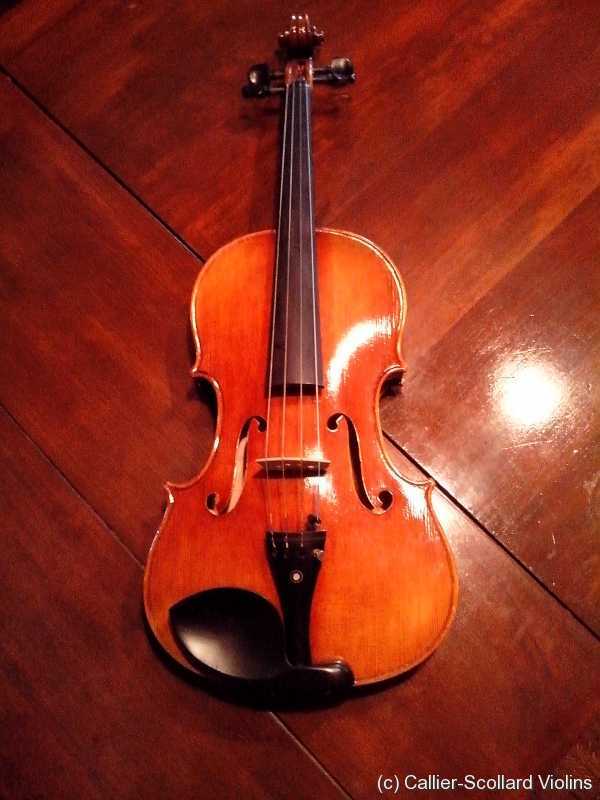 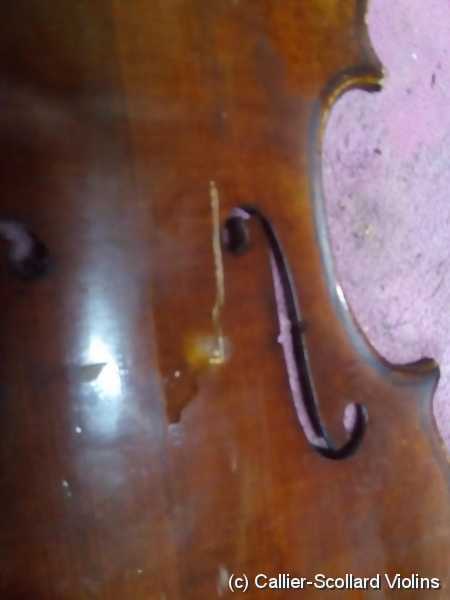 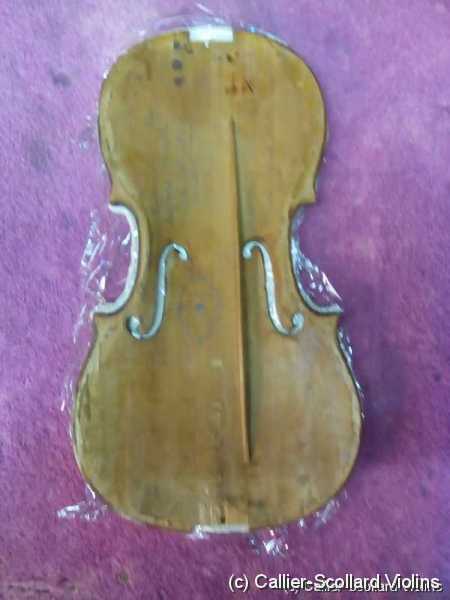 Here is a viola where the top was cracked into two pieces, there was also a small crack from the f hole up near the bass bar. 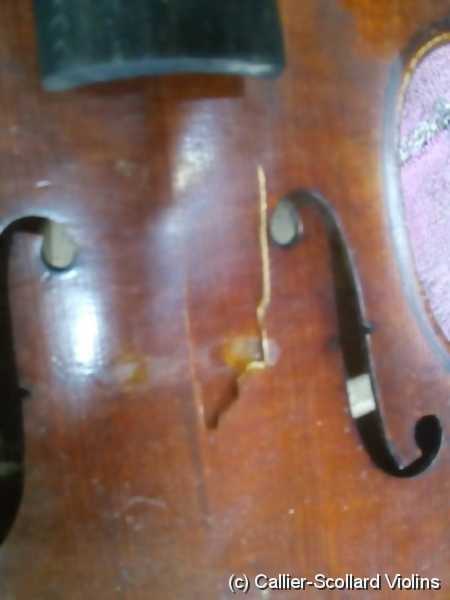 It must have taken quite an impact because the chinrest was cracked in half and the bridge was broken. 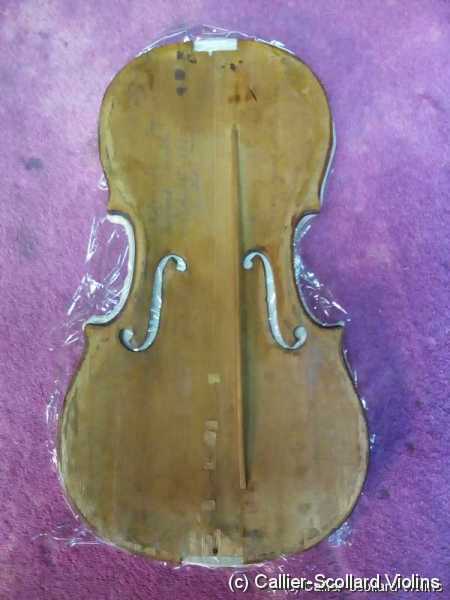 I spent a lot of time cleaning out the cracks and then sealing them. 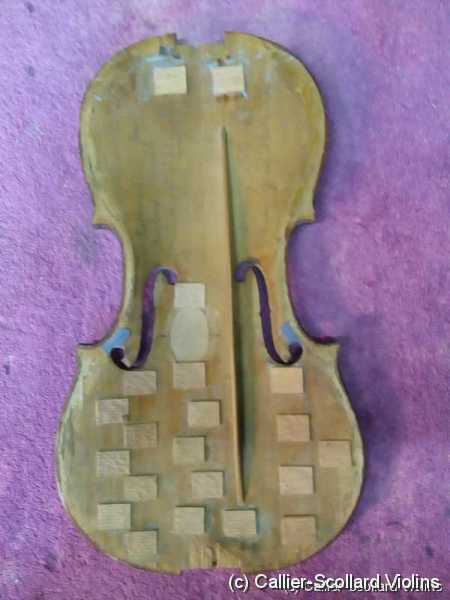 When I did the final french polishing the varnish must have previously had some dark dye rubbed on top because, unfortunatly the polishing pad picked up the dye and spread it around. 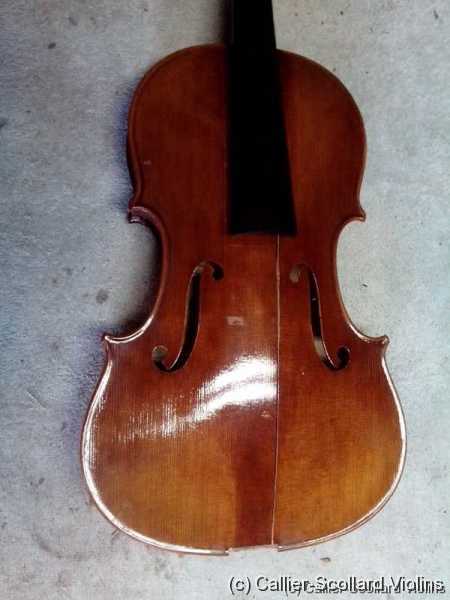 Some of the areas with the freshish varnish picked up this color. 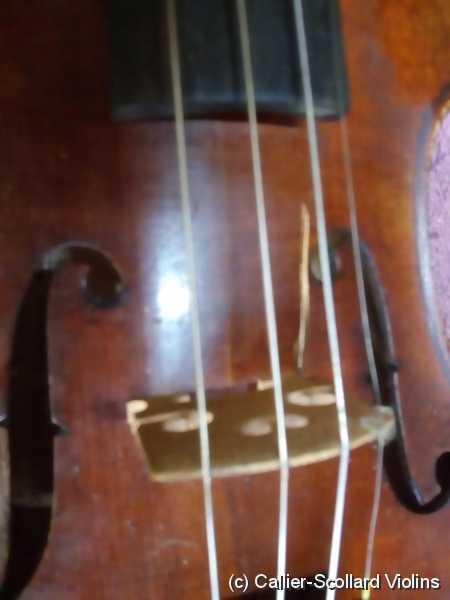 Here is a 3/4 with a very odd sound post crack.